Here at Enviro Safety Products, one of our top concerns is fall protection. It’s estimated that the new fall regulations that OSHA introduced last autumn (where does the time go, right?) affected 112 million workers at 6.9 million establishments. To be fair to the employers, that doesn’t necessarily mean that every single one of those people were risking life and limb completely unprotected. Most employers are conscientious of fall risk and provide protection equipment. But we have learned more about how to best implement fall protection and that new knowledge was incorporated into the standards, which had a wide effect on the industry. Anchorage is the most fundamental aspect of fall protection. The anchorage point is where the system connects to the larger structure. They typically take the form of a metal ring attached to a cable choker, fixed beam, or concrete strap that then anchors to the structure. They are designed to be independent of other anchorage elements, and are typically rated to support 5,000 lbs. They must be installed with qualified supervision. Body harnesses are the instantly recognizable body-cradling straps that provide the first line of defense. They support the user while they work and keep them suspended in the event of a fall. Many varieties are available, typically featuring D-rings on the back and hips to attach lifelines, lanyard, and tools, as well as an impact indicator that shows at a glance if the harness has been worn in a fall (at which point it is discarded). Connectors provide the vital link between the anchorage and the harness. The two basic categories are lanyards and self-retracting lifelines (SRLs). Both of them must have the ability to absorb and neutralize the dangerous forces that a falling body generates. Lanyards do the job with stretchable core material, while SRLs have a sophisticated locking mechanism in the spool that halts the fall’s progress as soon as it detects the speed increase. Both of these inventions absorb the arrest forces to prevent injury. Descent and rescue is a term for systems that allow for easy and safe descent from elevated areas, particularly in delicate situations that require quick escape. Using SRL technology in tandem with independent standing support, descent and rescue systems can allow for automatic controlled descent on sloped surfaces. Education is a huge part of keeping your employees safe. If they don’t understand how their fall protection works or why it’s important, it will be more difficult to keep the workforce compliant with the law. Corners will be cut, and accidents will happen. To prevent tragedy, build and maintain a robust culture of accountability in the workplace, and encourage questions about the particulars of fall protection. Fall protection for tools is also important. Certain harnesses will have rings or hooks that can attach to tools. That way, if a tool is dropped, it can be retrieved without having to descend to the ground, and will not be dangerous to anyone walking below. There is also a hoistable bucket available for holding large amounts of tools and supplies. This acronym provides a basic framework that can be used to build a fall protection program for any workplace. Fostering a strong environment of mutual support and inquiry will go a long way toward keeping everyone safe at work, as will making sure all bases are covered when buying and implementing protection equipment. Few things are more devastating or confusing than to be in the path of a natural disaster, and hurricanes are among the worst. Last week, the most brutal storm to hit the United States in 12 years made landfall in Texas: Hurricane Harvey. By now you’ve seen more than enough images of devastation, rescue crews driving boats through flooded neighborhoods, and overcrowded shelters. It hasn’t been as deadly so far as Katrina or Sandy, thank God, but it’s far costlier than any other disaster in American history. The jaw-dropping combination of 132 mph winds and 19 trillion gallons of water, which AccuWeather hauntingly rendered as a gargantuan cube hovering over downtown Houston like the New Jersualem in the Revelation of John (the phrase “Biblical proportions” has been invoked numerous times in the media) have clobbered the region with an estimated $190 billion recovery cost. Here at Enviro we have a track record of stepping up to provide rescue supplies in times of crisis, such as the Ebola outbreak in West Africa earlier in 2014. We’re committed to contributing similarly to the Harvey relief effort. It’s the least we can do as Americans and human beings to serve the heroes on the ground with the best of our equipment. 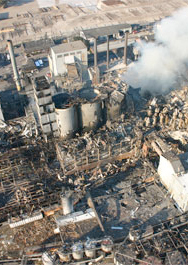 In a full-scale cleanup after a disaster of this scale, contamination is the primary concern. The water has wreaked havoc on Texas’s urban infrastructure. The sewers have overflown and deadly parasites and molds are free to infest the environment, as well as toxins from industrial sites. You need protection from those hazards, and companies like DuPont have got your back with Tyvek coveralls. Their signature flashspun polyethylene fabric protects against particles as small as 1 micron, and its protective qualities are inherent to the fabric and therefore resist wear and abrasion. You’ll want serged seams on the wrists to keep water from rushing into the sleeves, but for your legs you’ll need full waders. If you’re feeling particularly cautious, you might want to get the variety that comes with a respirator-fit hood, which brings us to the next item. Airborne contaminants are everywhere in a situation like this. The National Hurricane Center website has a helpful animation that shows the spectrum of damage that hurricane winds can cause to a house and to a stand of palm trees. If you adjust the wind speed approximately to where Harvey’s winds reached their zenith, half of the house is disintegrated and blowing in the wind, and the trees are stripped of their fronds. That’s a cloud of building material (possibly predating the asbestos ban) floating free in the air to be inhaled. You need a respirator that has the right balance of high-performance and portability. The N95 particulate respirators from 3M are a good family of products to explore, some of which feature a nifty exhalation valve that prevents it getting too hot in there. The punishing heat of Texas in summer combined with the oppressively wet conditions and the level of exertion involved in rescue work way well make it a necessity. This won’t be the final word on Harvey in this space, since it only covers two categories of product that we carry at Enviro. There will probably be more posts about the relief effort after the weekend, so stay tuned and stay safe. The landscape of the safety industry is complex, with an abundance of variations on a core group of products and concepts that can be paralyzingly overwhelming to even look at, let alone navigate. How is the average everyman supposed to know what he needs when the market is glutted with options that all seem the same? There are dozens if not hundreds of blogs out there to help guide the consumer towards the purchasing choice that’s best for them, and it’s anyone’s guess if reviving this blog will contribute meaningfully to that conversation. But here at Enviro we try to make it a point to reach out to the consumer base and help them determine what they need. We’ve organized our site to sort products into the most prominent categories that the industry recognizes, and we partner with the finest brands in the industry so that you get only the best. One of our most popular categories is hearing protection, which has been receiving a lot more attention lately. Hearing protection has gone underrecognized and underregulated for decades, and labor environments have only been getting louder. Multiple generations of workers have suffered permanent damage to their hearing systems that could have been avoided if protection were emphasized in their workplace. OSHA’s estimate is that 22 million workers are exposed to hazardous noise annually, and that $242 million goes toward hearing disability comp. That’s money down the drain! Thankfully, interest in the hazards of occupational noise exposure is increasing, and we’re seeing more proactivity towards conserving the hearing of the working class. So at what point is noise dangerous? The medium that carries sound from its source to your ear is air (that’s why you can’t hear anything in outer space), and the volume of sound is measured in decibels, the difference in air pressure that is created when a sound wave is present. Every hearing protection product has a noise reduction rating (NRR) that approximates how many decibels are subtracted from the sound entering the ear when the product is being used correctly. There are many brands out there that offer hearing protection, but 3M is the one that we carry that has the largest presence on the site and draws the most enthusiastic response. 3M is one of the titans of the research/development world, and the innovations that come out of their labs are second to none. A few months ago their E-A-R EasyTouch earplugs hit the market, which feature a winning combination of comfortable thermoplastic resin coating and polypropylene stem that allows the worker to push it into the ear and find the perfect fit, without worrying about contamination. If you prefer the classic model, we also carry standard roll-down earplugs in a wide array of styles and functionalities. Where our inventory really shines, in my opinion, is in earmuffs and headsets. This is where you can see some of that overwhelming variety I mentioned before. The most important distinction to know, however, is that between active and passive hearing protection. Earplugs and most earmuffs are passive: they block out all sounds, including those you might want to hear, such as conversation. Active hearing protection has a sophisticated, hypersensitive inner system that measures how loud sounds in the area are and selectively mutes those that are above a certain decibel threshold. I’ll get more into the exciting particulars of these products in future posts. The Occupational Safety and Health Administration (OSHA) provides guidelines for workplace safety that employers must follow for the sake of their workers’ well-being and the sound functioning of their workplace. OSHA standards act as a supplement to the common sense and conscientiousness that should guide safety protocols at all workplaces, and dictate proper gear choices, from full brim hard hats to high visibility vests, for specific industries. It is the right of all Americans to work in an environment that does not place them at undue risk. The Occupational Safety and Health Act of 1970 gives all employees and their representatives the right to report safety and OSHA violations. Employees or their representatives who believe there is a substantial hazard in their workplace, or that their employer is not following OSHA safety standards, may file an official complaint and request and OSHA inspection of their workplace. For their own protection and in order to preserve their jobs, complainants have the right to request that their names not be revealed to their employers. For the purposes of filing a complaint, employee representatives may be any of the following: authorized representatives of collective bargaining organizations, such as unions; attorneys acting for employees; or any person acting in a representative capacity, from clergy to family members to nonprofit groups and organizations. Before contacting OSHA to report the safety violation, the employee may wish to take intermediate steps to resolve the hazard. Initially, the employee may wish to report the issue verbally to the workplace’s supervisor or manager, or through any official workplace hazard reporting procedure that may exist. The employee may also raise the issue with the workplace health and safety representative. If such measures prove ineffective, employees may attempt to negotiate with management through union representatives. Workers may also contact local government organizations, such as Licensing & Inspection, to report workplace hazards. In order to file a complaint with OSHA, a complainant should fill out an official OSHA complaint form from OSHA’s website. The complainant may submit the form online or download it and fax or mail it to the nearest OSHA regional or national office. Mailing addresses and telephone numbers for OSHA’s offices are available via the OSHA website. If a complainant believes that there is an emergency or that a safety violation is immediately life-threatening, the complainant should directly call the nearest OSHA office or 1-800-321-OSHA. Workers do not have to know whether a specific OSHA standard has been violated when reporting a safety violation. 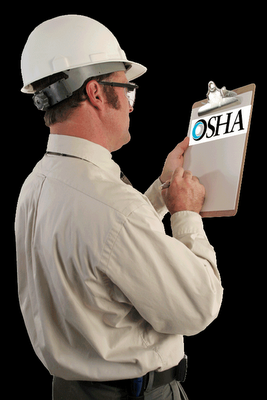 It is enough that the complainant provide enough information for OSHA to determine that a hazard probably exists. At a minimum, the complainant must identify the workplace or company, the hazard, and the particular worksite or building where the hazard is located. In order to increase the likelihood of an onsite inspection, the complainant should include details including: number of employees working at the site and how many are exposed to the hazard; how workers are exposed to the hazard; what type of work is performed in unsafe conditions; what equipment is used and its condition; what materials or chemicals are used; how long employees work around the hazard; how long the condition has existed; whether anything has been done to correct the problem; whether anyone has thus far been harmed by the hazard; and whether there have been any “near-miss” incidents. In order to ensure a safe and healthful workplace, OSHA provides workers with other rights in addition to requesting OSHA workplace inspections for safety violations. Workers may receive information and training about safety issues, methods to prevent harm, and the OSHA standards that apply to their workplace. They may get copies of any results of tests OSHA performs to find hazards in the workplace. Additionally, they may review records of work-related injuries and illnesses and get copies of medical records. All resources, including OSHA complaint forms, are readily available in Spanish as well as English. Agriculture Products: egg white, powdered milk, soy flour, sugar, whey, wood flour, starch, tapioca and more. Agricultural Dusts: cotton, malt, oat flour, peat, potato flour, gluten, rye flour, tea, wheat starch, sunflower seed dust, coffee dust, alfalfa, soybean dust, sugar, onion powder and more. Carbonaceous Dusts: corn, cork, charcoal, lignite, peat, soot, pine, cellulose, coal, coke (petroleum), lignite and lampblack. Chemical Dusts: sulfur, calcium acetate, dextrin, lactose, lead stearate, ascorbis acid and more. Metal Dusts: aluminum, bronze, iron carbonyl, magnesium and zinc. Plastic Dusts: polyethylene, emulsion, epoxy resin, melamine resin, polypropylene, phenolic resin and more. To lessen the risk of a “Combustible Dust” explosion, explosion proof vacuums are recommended for cleanup and housekeeping. These types of vacuums do not produce sparks and help to reduce the risk of an explosion. To ensure worker safety, make sure your employees are equipped with the appropriate respiratory protection to lower the risk of long term respiratory issues. View the OSHA Combustible Dust Poster for a complete list of products or materials at risk, along with dust control and prevention measures. A Nail Gun is a common tool used by contractors and carpenters everyday at construction sites, especially in residential construction and every year, tens of thousands of painful injuries occur related to nail guns. The Assistant Secretary of Labor for OSHA, Dr. David Michaels said that nail gun injuries are responsible for approximately 37,000 emergency room visits annually. In an effort to prevent nail gun injuries, the Occupational Safety and Health Administration (OSHA) and the National Institute for Occupational Safety and Health (NIOSH) has developed a handbook for employers and self-employed contractors titled, “Nail Gun Safety – A Guide for Construction Contractors”. OSHA and NIOSH have developed six steps that employers can take to improve nail gun safety and prevent workers from injury or death. Provide adequate training – everyone benefits from training. Employers should provide hands on training, including operation, loading the nail gun, air compressor operation, awkward positions and what-to-do when the nail gun malfunctions. Establish work procedures – creating a step-by-step procedure for handling, operating and storing of nail guns will make the workplace safe and reduce employee injuries. Provide Personal Protective Equipment (PPE) – workers should be provided and required to wear steel toe boots, a hard hat, high impact safety glasses with ANSI Z87.1 protection, and earplugs or earmuffs while operating a nail gun. Never operate a nail gun with your non-dominate hand. Click Here to download OSHA’s “Nail Gun Safety – A Guide for Construction Contractors” handbook. A recent article in Australia’s Safe to Work newsletter offers some advice on creating a safer, injury free work place. The writer contends that no matter what the size of an organization, occupational health and safety risks can't be ignored as an integral part of business management. The biggest risk is to do nothing at all. The following tips are offered to help create a safer, injury free work place. 1. Understand responsibilities – make someone in charge for understanding practical and legal safety requirements. Have a clear and simple safety policy. 2. Consult workers – any decision that involves worker safety should draw upon the experiences of those affected. 3. Identify, assess and control risk – have a system in place in identify hazards so that appropriate measures can be taken to minimize and eliminate the risk. 4. Inform, train and supervise – suitable training and employee involvement it essential in achieving safety success. 5. Manage incidents and injuries – even with the best of precautions, accidents will happen. Effective management will minimize loss and disruptions. A man claiming to be an OSHA inspector has been harassing businesses in the Phoenix, AZ area. The impostor threatens business owners with citations and fines, then offers to forget about the violations for a check or cash payment. To avoid being taken advantage of, business owners should know exactly what to expect during an OSHA inspection. Identification – Before beginning an inspection, compliance officers will identify themselves as OSHA representatives, and present credentials which include both a photograph and a serial number. Opening Conference – The inspector will provide specific details as to why a company has been selected, the scope of the inspection, walk-through procedures, authorized representatives, and employee interviews. Walk Around – After the opening conference, the facility inspection begins. A representative from the business will accompany the compliance officer on walk through portions of the facility covered by the the inspection, looking for hazards. Inspectors are required to document all violations, including those that are fixed on the spot. Closing Conference – After the walk around, the inspector will hold a closing conference with the employer and employee representatives. At this time, the compliance officer will discuss the results of the inspection, and offer possible courses of action. OSHA inspectors should NEVER ask for payment or hand you an invoice. Any citations, fines or penalties resulting from the inspection will be mailed to you within 6 months of inspection date. Since the creation of OSHA in 1970, workplace safety has dramatically improved and the number of fatalities and injuries has decreased over the years. Here are some statistics you should know. According to the National Safety Council and the Bureau of Labor Statistics, the workplace fatality rate has decreased by 78% since 1970. According to the Bureau of Labor Statistics, there were 11 injuries per 100 full-time workers in 1973; by 2001 the rate was 5.7 per 100 workers, a decrease of 48%. Since 1970, the fatality rate in manufacturing has decreased by 66% and the injury rate has decreased 53%, as opposed to manufacturing plants that don’t implicate OSHA standards. Similarly, the fatality rate at construction sites has decreased by 82% and the injury rate by 64%. In 2009, 71,700 fewer construction related injuries were reported, a 22% decline from 2008. Between 2006-2009, the injury rate among full-time workers decreased from 4.2% to 3.5 % per 100 workers. In 2009 a total of 4,551 fatal work injuries were reported, a 26% decline from 1992 where 6,217 fatal injuries were reported. 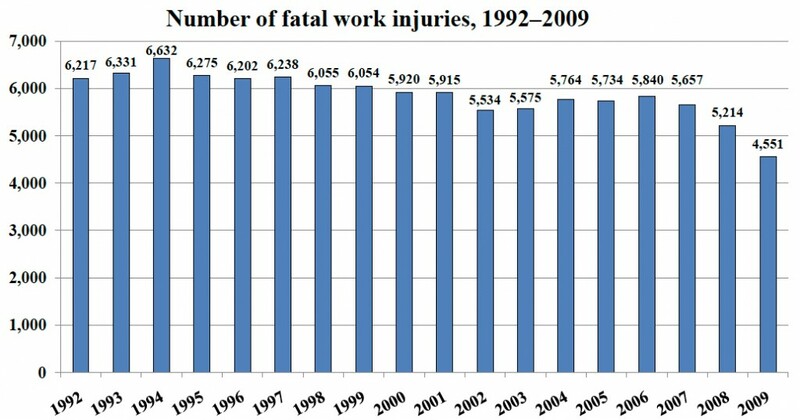 The number of fatalities related to non-highway work decreased from 436 reports in 1992 to only 261 in 2009, a 40% decrease. 37 States reported a decline in workplace fatalities from 2008-2009. The number of work related fatalities in Hispanic or Latino workers have declined 22% from 923 incidents in 2005 down to 713 incidents in 2009.